Awesome idea! Thank you so much for sharing. I have seen this with hoola hoops but newspaper is so much easier! I am your newest follower! I am a new blogger and love connecting with other upper grade teachers! Great idea! Would you share some of the tunes that you moved to? Love this idea, so stealing it! Please please please post about your lap packs - I'm a music teacher without a classroom, and this looks like something that could be really helpful! What a wonderful idea I can share with my daughter's second grade teacher. I can also work this into a fractions lesson for my preservice teachers. What a great idea. I will have to share this with my daughter's second grade teacher. I can also work in a fractions lesson with my preservice teachers. As a Pre-K teacher we talk about "personal space bubbles"...this would be a great way to illustrate and have them understand it in a visual way...thanks for the idea. This is a great idea. I plan to use it in my social skills classes to help us defeat the Unthinkable, Space Invader. I just started a blog, look for a link to your great idea there! Smart!!!!!!!!!!!!!!!! First Graders need this! Fun and creative way to reinforce the concept of personal space!Thanks for sharing. This is genius! Thank you so much for sharing your ideas! This is a great activity that could also connect with the musical, Newsies! 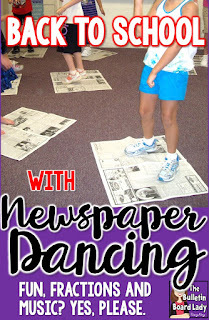 They dance on newspapers in the Broadway version! 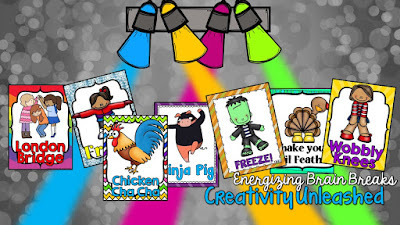 Fun, creative, purposeful. Love it!!! Thanks for sharing! I'm going to try this with grades 1 and 2 the first week of school. (3rd grade has chorus first half of year so we don't begin with music class until Feb.) But, I'm so greedy for time with them since we meet once a week that I feel like this is lacking in substance for my kids, so I'm going to add a rhythm reading element to review from last year. When the music stops, they freeze and have to do some rhythm reading performance as well. Did you use the entire song or just parts of different songs? How long did you play until they changed their paper? And, how long was the full activity? Thank you in advance! This is a great back to school activity for a couple of reasons. 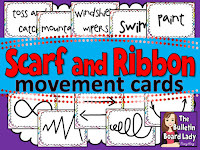 First, it allow students to move and be silly in a controlled manner. To prep them you discuss what dancing and creative movement can look like. Refer back to this conversation throughout the year when someone is just tapping a toe or is going crazy running around the room. Secondly, it can be scary to get up and get moving. This is a great way to get kids thinking about their personal space, which just happens to fit nicely onto the newspaper before it is folded. Use this alllll year long as a reference to what their personal space area is. So, it may lack in-depth theory or music reading, but the substance comes in the groundwork you are laying for future activities. I select different pieces of music throughout the activity. By using different genres/styles students get to experiment with different ways to move (ballet, headbanging, disco, etc...). You don't have to do it this way, but I like to mix it up. I play anywhere from 20-45 seconds for each turn and then we fold our papers and begin again. We talk about the fraction we are making each time in the older grade. Younger students just work on folding in half. This activity takes about 8-10 minutes. Well that's not true! LOL. With some groups it takes three turns and then everyone is out. *giggle* I usually PLAN 10 minutes and we just play as much as we can in that time. Great Idea! Would this be too "silly" for my 6th graders? You know how they can be silly one minute and then think it's totally uncool the next lol. I don't know. For mine it was VERY competitive. I'm not sure if that was the best, but it did keep them all dancing and trying to the end. Even when there was NO way they could stand on the newspaper because it had been folded so small, they tried! I can't wait to try this with my preschool class! I know we will have a wonderful time learning and dancing! Thank you! Amazing Idea! I work with young adults and this can also work to get them going. Any ideas to keep the paper from tearing to shreds. I tried and the paper tore very easily. Love the idea, though! I LOVE this idea! Totally incorporating into my fractions unit! Thanks! This is such a great game! I currently am a student teacher and this game will work perfectly in my practicum class! They love to dance and adding on the concept of math is a plus! Thank you for sharing my learners will love it! Thanks, I love this idea to introduce fractions. I´m so oexcited to do it with my students because I know they´ll LOVE IT. I would like to do it right away but I have to wait until Easter week. Thanks for sharing. I'm going to use this with my class to introduce fractions.